Dendritic cells play a critical role in the regulation of both innate and adaptive immunities. Tumors can exploit the biology of these cells to both evade immunity and facilitate their growth. Although much has been learnt about the biology of these cells, much more remains to be discovered. It is likely that several aspects of the host immune response to tumor cells are conditioned by the interactions of dendritic cells and tumor cells. Dendritic cells may also have non-immune effects on the biology and growth of tumor cells. 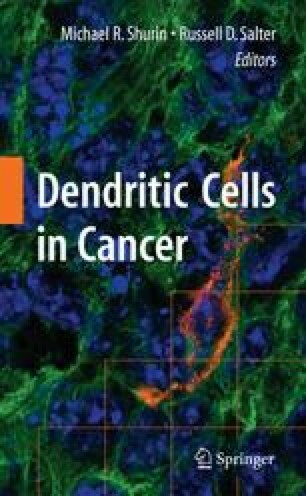 Improved understanding of how tumor cells interact with dendritic cells therefore has implications for both cancer biology and immunity to tumors. MVD is supported in part by funds from NIH, Dana Foundation, and Damon Runyon Cancer Research Fund. I thank Kavita Dhodapkar for critically reading this review.